This is the 1st blog of 8 in this series: Therapy Course for Anxiety. This course draws on techniques and strategies that research has proven to be effective in the treatment of anxiety. In this blog I am going to show you a quick quiz to help you to self-diagnose anxiety so that you know for sure that this is the right course for you. Then we will make a start on the road to recovery. Anxiety can be normal, necessary and helpful. It can motivate us to prepare, focus our awareness and improve our decision-making and response times e.g. responding to danger or preparing for an exam or important meeting. However, sometimes anxiety occurs when it isn’t helpful but instead interferes with our ability to do things. It is estimated that 3.6% of the global population suffer from an anxiety disorder, however this figure is based on people who come forward for treatment so the actual number is likely to be much higher. Does your heart frequently race or pound? Do you frequently feel dizzy, hot or unsteady? Do you often feel breathless when you haven’t exerted yourself? Do you often feel nervous? Do you frequently fear that the worst will happen? 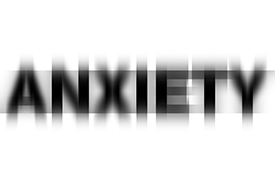 Do you worry about getting anxious? Do you avoid the things that make you anxious and is this starting to interfere with living your life? Do you worry about losing control or fainting? Do you worry about becoming ill or dying? Do you lie awake at night worrying? If you have answered yes to between 1-3 questions and have been suffering with your symptoms for less than a year, this course is likely to be all that you need to recover. If you have answered yes to more than 3 questions and/or have been suffering for more than a year, this course will get you well on the way to feeling better but you may need some extra support at the end. We will look at this together in the final blog of this course. 1. This will motivate you to complete the course and get the most from it. Sometimes addressing anxiety, in the early stages, can be anxiety provoking, so seeing small changes will keep you going. 2. Noticing what makes you feel better as well as what makes you feel worse is an important part not just of making changes now, but of keeping changes going and protecting yourself from future episodes of anxiety. With this in mind, the first task in this course is to keep a simple mood diary. Place a piece of paper and pencil close to your toothbrush (or use your phone). Every night, for the 2 minutes that you are brushing your teeth, rate your anxiety for that day out of 10. If there were significant fluctuations mark down the lowest your anxiety fell and the highest that it rose e.g. 1-7. Every Sunday review the week’s scores and compare them to previous weeks noting the changes, however small. Take time to think about what you have learned in this blog before moving on to the next one. This course will be more effective if you space the blogs out by 3-4 days to allow yourself time to digest the information and put into practice the tasks. With any type of therapy it is what you do in between sessions that has the biggest impact on the changes you are able to makes, the speed at which you make them and how long they last. So, take your time, slow and steady wins the race. In the next blog I am going to explain why anxiety problems occur and show you how to manage your anxiety in the short term.